In short: saving time, one click at a time. The Watchmaker is a game of grand themes. Its narrative quietly boasts a host of sensational and evocative strands, such as time perception in all her beauty, and introduces temporal illusions like chronostasis or the kappa effect. Yet, at its heart, The Watchmaker is about Alexander, the keeper of a small tower. He isn’t trying to change the world — just trying to escape a strange steampunk cauchemar he is trapped in and find his precious clock. If you’ve ever done an internet search for top hats, attended a convention of any sort, wrote some fanfic with Captain Nemo, or were ever tricked into watching Wild Wild West, you know what steampunk is. It’s a type of speculative fiction where steam is king and Victorian fashion is at its peak, and it’s gotten so big that it’s effectively become a pop culture movement all its own. 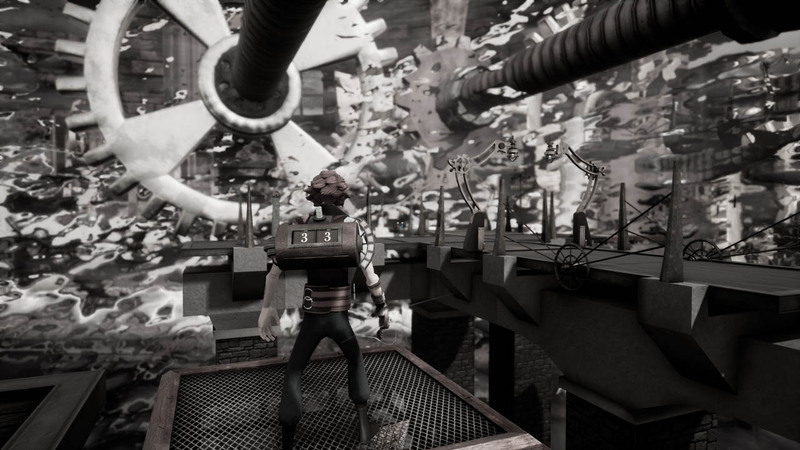 There are steampunk books, steampunk movies, and steampunk bands… so you can bet there are steampunk video games! Have you ever played BioShock or Syberia? The Watchmaker is also steampunk, falling into one of the genre’s multiples subcategories: clockpunk. The Watchmaker is designed in a lovely cartoonish manner, reminiscent of the movie Hugo, and approaches a very serious subject. Attempts to prove the unreality of time (which, for example, were undertaken by J. McTaggart) lead to inevitable contradictions. What could unreal time mean for our everyday experience? If there is no time, does this mean that you can first eat a salad, and then cook it? If there is no time, does this mean that it is absolutely impossible to be late for anything? Time exists. But how? It can hardly be said that time was invented "for convenience." Traffic lights can be said to have been invented for convenience, but we can imagine that one day we would decide to abandon them in favor of something more convenient. Time cannot be coherently thought of in the same way, as what could replace time? Man did not invent time, but we do not find time among things. "Time," notes Kant, "is not an empirical concept derived from any experience." Time logically preceding our experience, is, according to Kant, an a priori form of sensuality, a necessary representation lying "at the basis of all contemplation." What does it mean? Let's conduct a simple thought experiment: Imagine that a cup of coffee falls from the table and breaks. And now let's try to present this event out of time. We will not succeed. Thus, we find that time is more likely what structures our experience, than what was invented "for convenience." The main character turned out to be quaint, despite his pretty steampunk outfit, while the combat system leaves much to be desired. The dialogues with the mysterious alter ego are too caricatured. Unfortunately, the assistant here is purely for decoration; a pretty firefly, but nothing more. I wish there was more interaction with him throughout the game. (Think of Elizabeth in BioShock Infinite or Atreus in God of War.) Secondary heroes should be memorable at least. The method of environment interaction left much to be desired. Normally the game’s music should enhance intelligent level design and gorgeous visuals, while canny audio production mixes a superb ambient soundtrack with subtle gameplay cues, but here we have a really annoying leitmotiv, which literally pursues the player. It’s not that bad, but on repetition it begins to cause a headache and distracts from the game. The audio on the main screen is beautiful though. Hand on heart, without reading the preview, I would never have guessed that Alexander is looking for a clock. What for? How? Why? It should also be noted that the entourage is clearly steampunk, but it's not enough just to scatter the elements around the locations and enjoy the views. Twisting platforms are abused: the developers should care about the player's vestibular apparatus. Look towards Naughty Dog, creators of Crash Bandicoot — they know their business. Enemies seem made of cardboard. Aliens? Tin soldiers? I understand that we are in the nightmare of the main hero, but we deserve more balance in this regard. I understand that the authors decided to strengthen the topic with the illusion of time. It was worth a shot, but fell short. The graphics are pretty good, but it’s obvious the developers focused on the clock master. Facial animation is very important in the formation of an emotional connection between the hero and the player. Without breaking the fourth wall, it is very unlikely that a game will be successful. Puzzles, which are supposed to be the core of the gameplay, are boring and predictable, executed in turn-left-then-turn-right manner. This only causes confusion and leads the player to a dead end. It might be a good idea to introduce some narrative puzzles to provide moments of levity and visual entertainment, as well as some logic puzzles that really tax the gray matter. The Watchmaker is steampunk through and through: a tale of obsessive-compulsive disorder and the almighty power of time, reminiscent of Portal in its humor and scientific focus. Everything works like a well-oiled machine, apart from some poor narrative and level design. A simple but well-realized art style makes its grungy landscapes look beautiful, while the point-and-click interface is responsive, making exploring the world and figuring out puzzles a treat. Playing will prompt reflection and evoke emotion, which the developers should be applauded for. Dagny is an avid game developer with a passion for gaming, art, literature and mathematics. Her most irritating habit is asking for cups of tea. Describing her in fours words: amiable, vague, puzzled, messy-haired. Her favorite Filipino mythological character is the manananggal. When she was a kid, she alphabetized all the books on his bookshelf. Forever in love with H.P. Lovecraft, Dino Buzzati, James Branch Cabell, Edgar Allan Poe, Michael Moorcock, Ursula K. LeGuin, Gene Wolfe, and G.K. Chesterton. She enjoys mathematics because it is not human and has nothing particular to do with this planet or with the whole accidental universe - because, like Spinoza's God, it won't love you in return. Her favorite narrative games are probably Bioshock and The Last of Us. She'd love an opportunity to work on a game like that, that was trying to push and explore narrative within the game. Her first game where she remembers being completely whacked from a totally narrative sense was Ico.